Two things here: the official press release (including the humongous, unabbreviated title) and a link to an article in the Hungry Horse News providing an articulate summary . . . The U.S. Department of Agriculture Forest Service today released the draft revised land and resource management plan (draft forest plan) and draft environmental impact statement (DEIS) for the Flathead National Forest for public review and comment. In addition to the effects of the draft forest plan, the DEIS includes the environmental consequences of the proposed forest plan amendments to incorporate habitat management direction for grizzly bears for the Helena-Lewis & Clark, Lolo, and Kootenai National Forests. Written and electronic comments will be accepted for 120 days. Today’s publication of a Notice of Availability of the draft documents in the Federal Register begins the public comment period on both the draft forest plan, amendments and DEIS. A total of two open houses are scheduled in Kalispell and Missoula during the 120-day comment period. These open houses are intended as an opportunity to visit with individual planning team members and review maps of management area allocations by alternatives. The location and schedule of these open houses will be publicized in local newspapers and can be found on the Flathead National Forest website at: www.fs.usda.gov/goto/flathead/fpr. The draft documents are available for review and comment online. 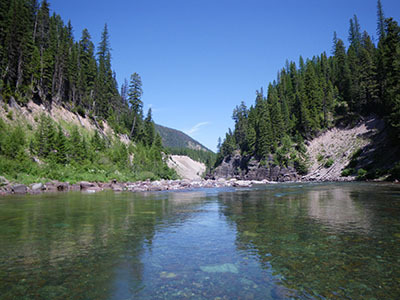 Comments may be submitted via email to flatheadplanrevision@fs.fed.us, via facsimile to (406) 758- 5379 or in writing to: Flathead National Forest Supervisor’s Office, Attn: Forest Plan Revision, 650 Wolfpack Way, Kalispell, MT., 59901 The Forest Service will carefully review the comments on the draft Forest Plan, Amendments and DEIS. There will also be an objection process for any unresolved concerns prior to the final decision. For additional information, please contact Joe Krueger, Project Manager, at (406)-758-5243, or jkrueger@fs.fed.us.